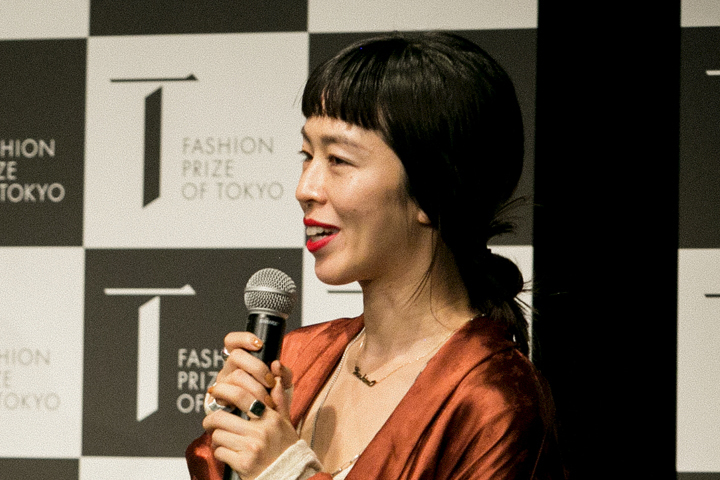 Regarding the FASHION PRIZE OF TOKYO - Please tell us what aspects of this prize do you agree with, for example, its concept, support menu, etc., and what are your hopes for the future? For a brand, support in overseas presentation and/or doing runway shows, gives them a chance to think of further developments in business, so I think this is a very good thing. In the future, I think it would be even better if the support extends further than provisional financial support, to providing continuous support for the brand to flourish, like finding a way to plan PR and business developments together with the brand. I have the impression that brands whom are not yet widely acknowledged made aggressive entries. I placed value on the balance between Japanese production, style, level of acknowledgement, and sales. I hope award-winners will carry through their original style, not only in Japan but in overseas also, and grow into a brand which is loved for a long time. That the “icon (style)” of the brand is clear, (have an icon item), and value Japanese production.